Directions: From Hanover sq. Broadway approx. 9/10th mile. Turn left onto McKinley Ave. Follow approx. 3/10th mile. Turn right onto Paul St. follow to sale site on left. 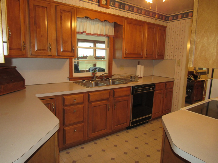 Nice 3 bedroom, 2 bath approx. 2,076 sq. 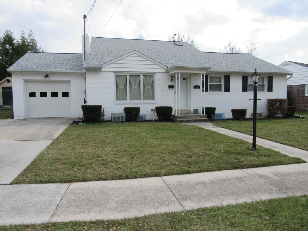 ft. home w/ rear 2 story addition & attached 1 car garage w/ cement driveway. 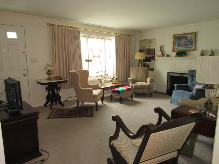 Home located on nice lot w/ nice rear patio area & fenced in backyard. Main floor includes kitchen w/ nice newer cabinets & includes appliances: white GE refrigerator, True Temp smooth top electric stove, Sharp Carousel convection oven, dining room, living room w/ front entry & brick fireplace w/ cabinets & book shelves on each side, hallway w/ coat closet & linen closet, 2 bedrooms w/ closets, full bath with tub/shower & linen closet. 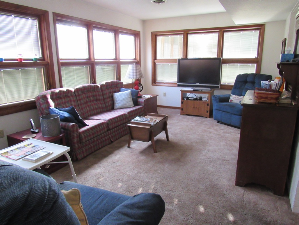 Newer 2 story addition to rear of home includes nice large family room w/ windows all around & door to rear patio, second floor includes large master bedroom w/ closet & large walk in closet, full bath w/ double bowl sink, linen closet & sky light. Home has newer 2012-13 roof, Main house has Heil gas furnace w/ central air, newer addition has Rheem 90 Plus gas furnace & central air, 50 gal. 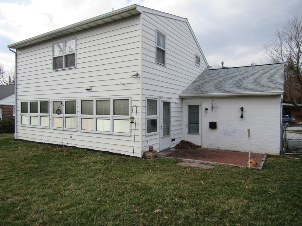 gas hot water heater, circuit breaker electric, 5 room basement including family room, laundry room, half bath & 2 other rooms, Located in York Co., Hanover Borough, Hanover School District. Real Estate Terms: $7,500 Down Day of Sale in Cashiers or Certified Check, Settlement within 60 Days.